← 300+ Followers — Thank you so much! I have been afraid of cuffs for a very long time. However, recently I made a few long-sleeved shirts and pants for my son and discovered: They aren’t that bad. 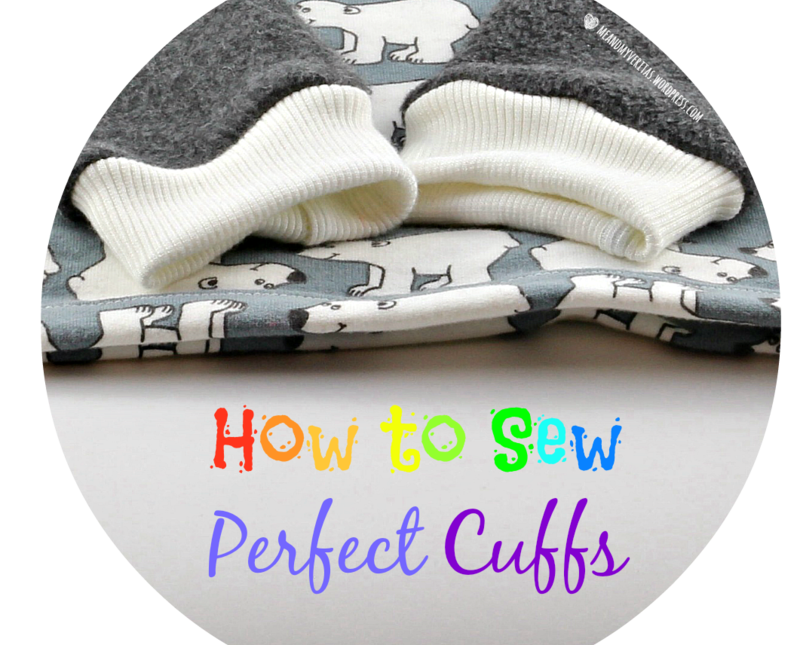 In order to show you how straightforward and simple it can be to sew perfect cuffs, I wrote this post. 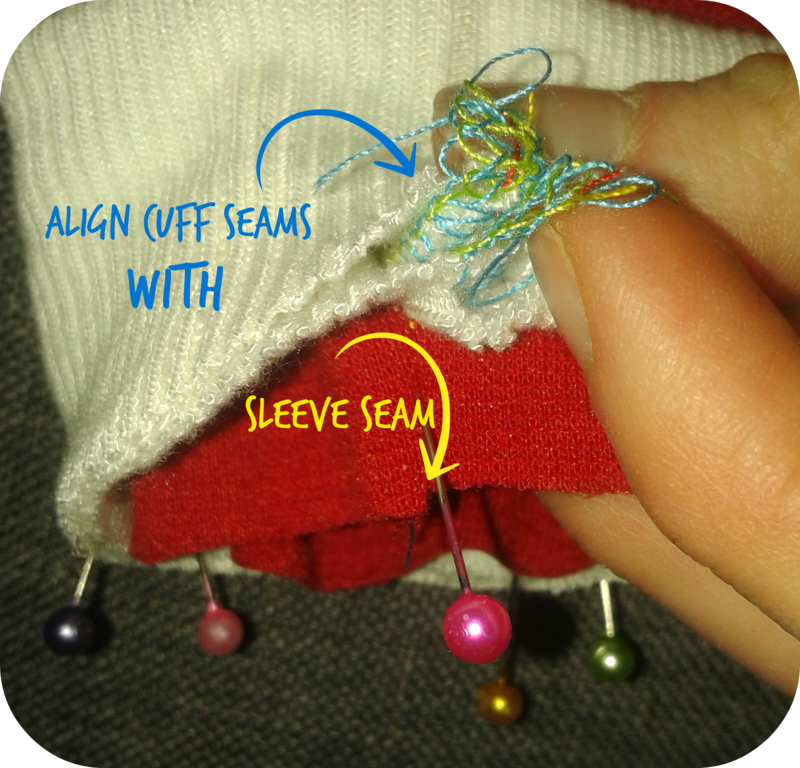 It does not matter whether you want to sew cuffs onto sleeves of a shirt or legs of a pants, this tutorial will work. You can basically use the same strategy to sew cuffs onto pants as waistbands or to sew thin cuffs onto shirts as necklines. 1. 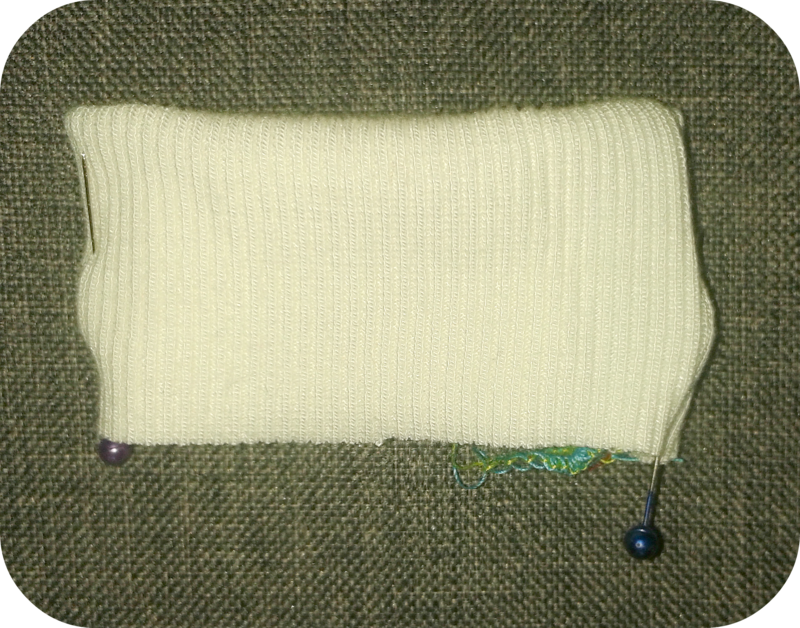 Cuff fabric is a fabric with pronounced stripes. It is most stretchable into the direction that is perpendicular to these stripes. 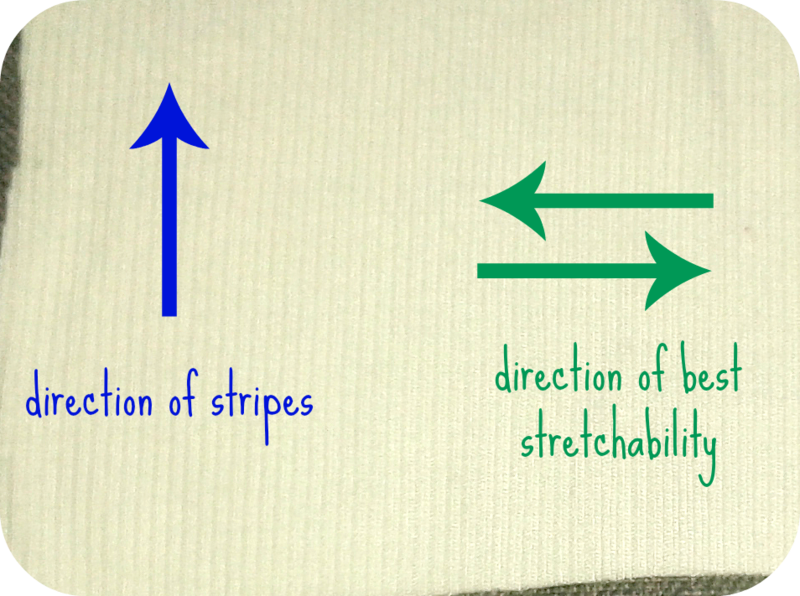 So if your stripes go from top to bottom, the fabric can be stretched best to the sides. 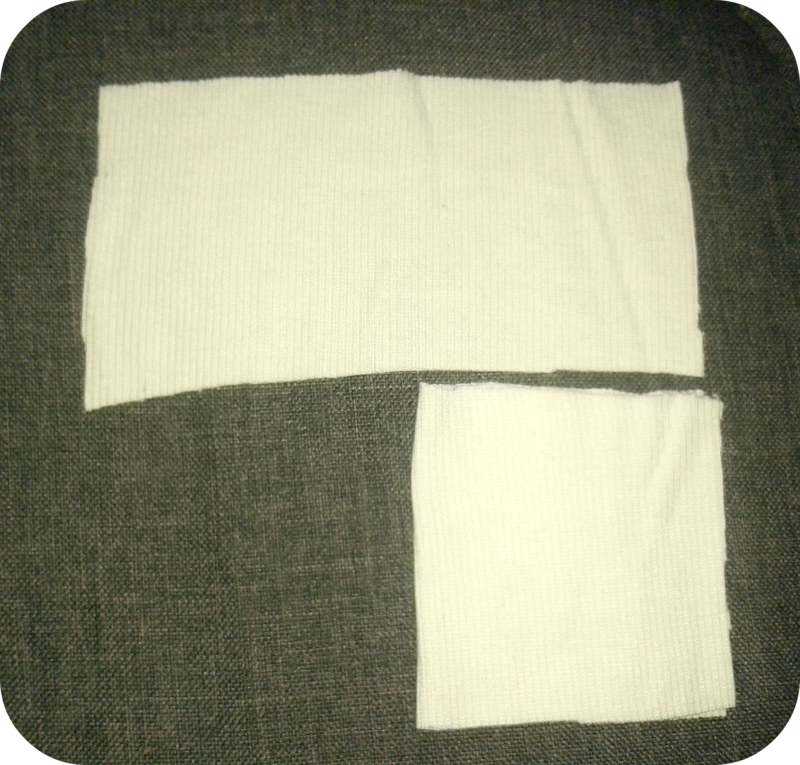 For cuffs, you will need to cut a rectangular piece of fabric. 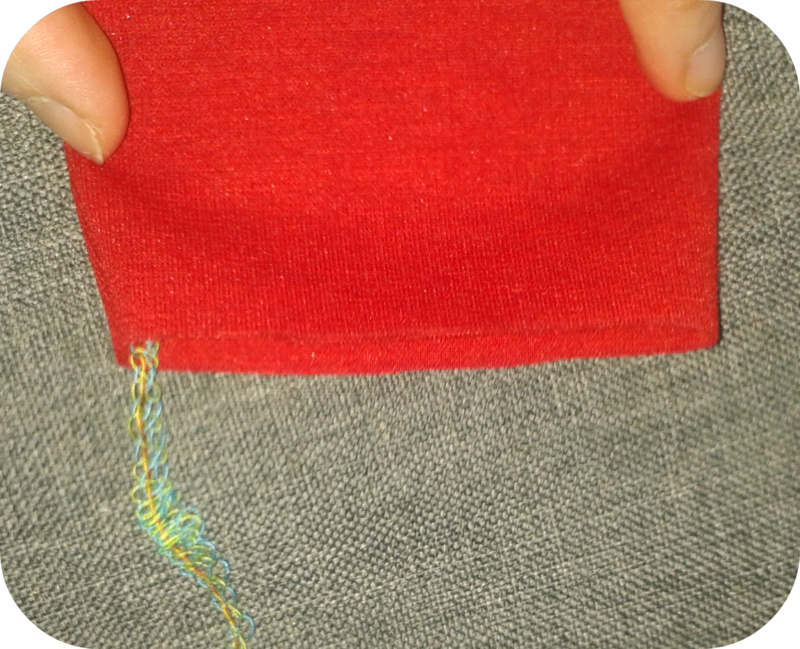 Always cut cuff fabric with the stripes being parallel to the short side of this rectangle. 2. The dimensions of your cuffs strongly depend on the stretchability of the fabric. It is best to measure the wrist or ankle circumference of the respective person, and then take only that length of cuff fabric that is—when stretched—a bit longer than this measurement. 3. As you will see during steps 5 and 6, we are going to divide each cuff and each sleeve into 4 equidistant parts and mark each with a pin needle. 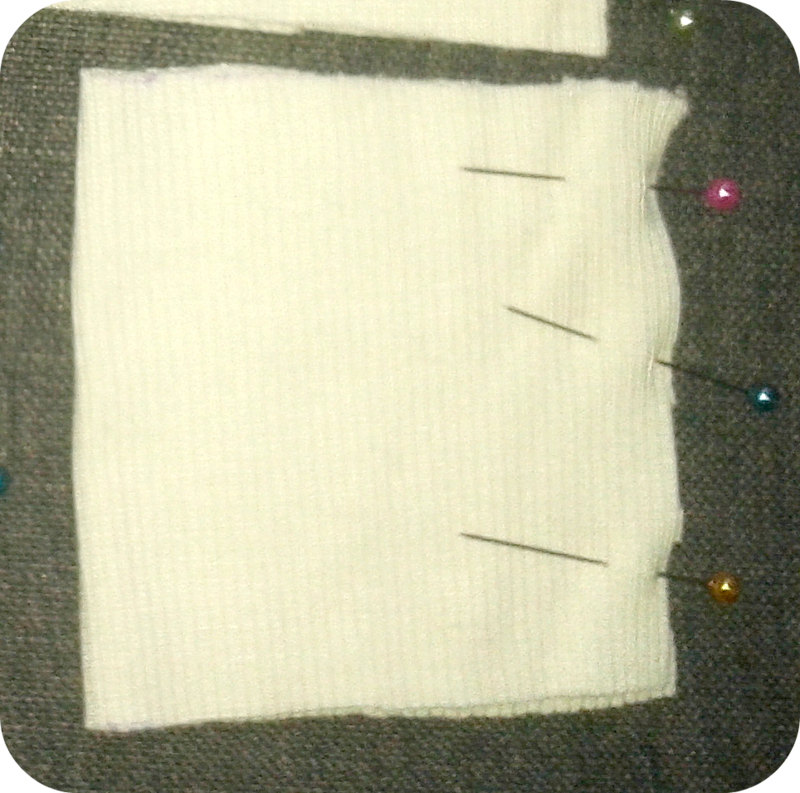 While sewing (step 7), only the cuff fabric will be stretched in order to align corresponding pin needles of the cuff and the sleeve. 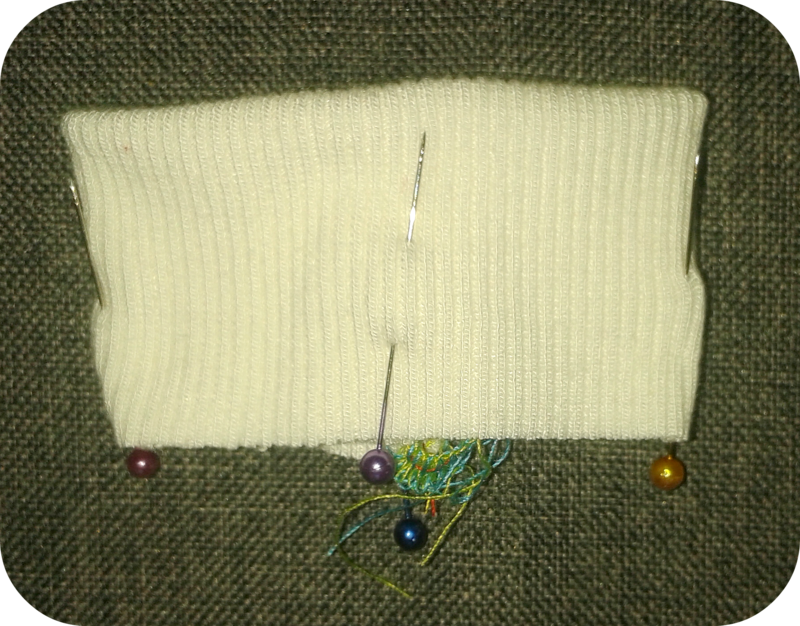 This way the cuff will later be stretched equally around the sleeve. 4. 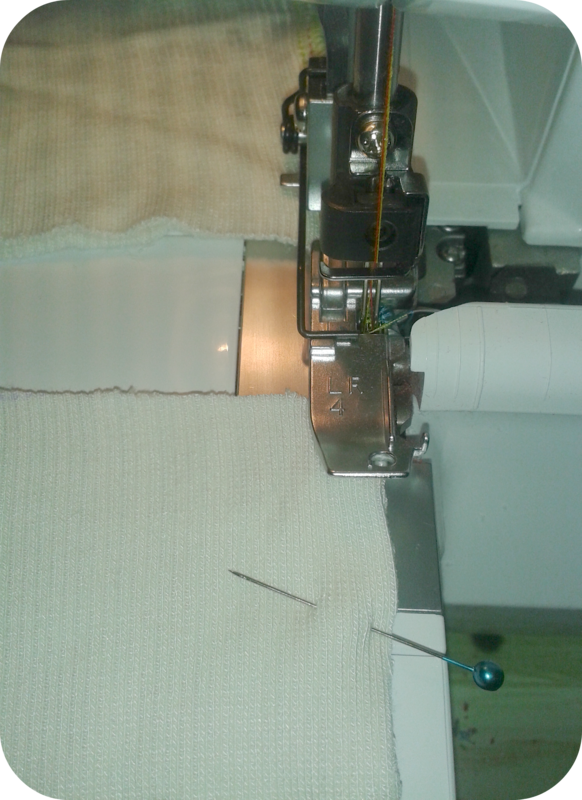 I am using an overlock machine here. 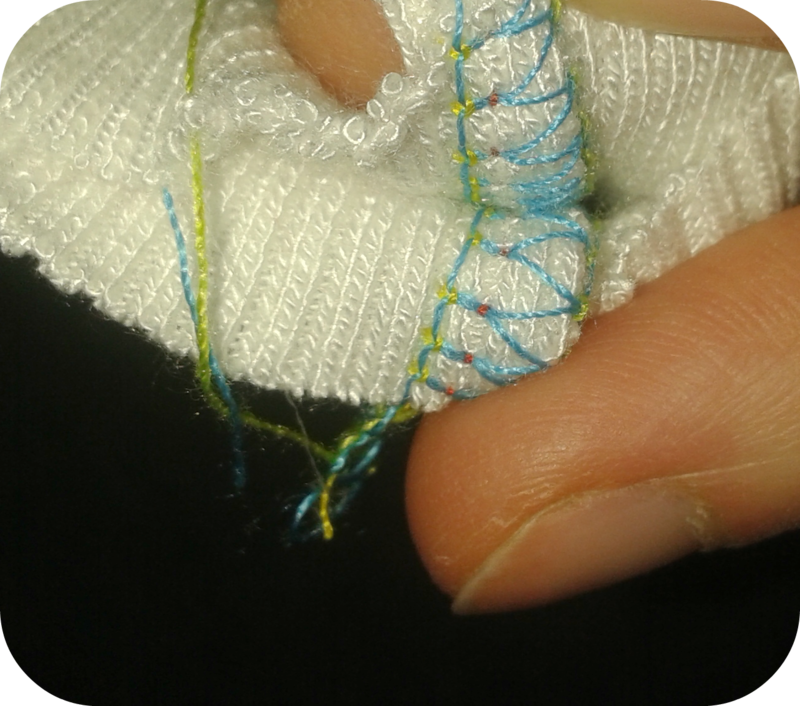 If you are using a standard sewing machine, use a flexible stitch (such as a ZigZag stitch) first and sew at a distance of about 0.2 inches (i.e., 0.5 cm) from the edge. 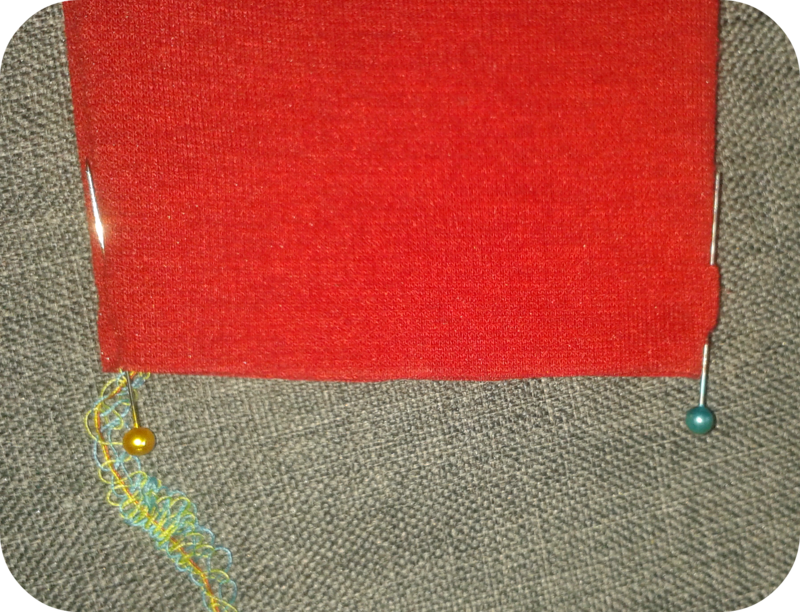 Then sew again, this time along the edge, to keep it from fraying. 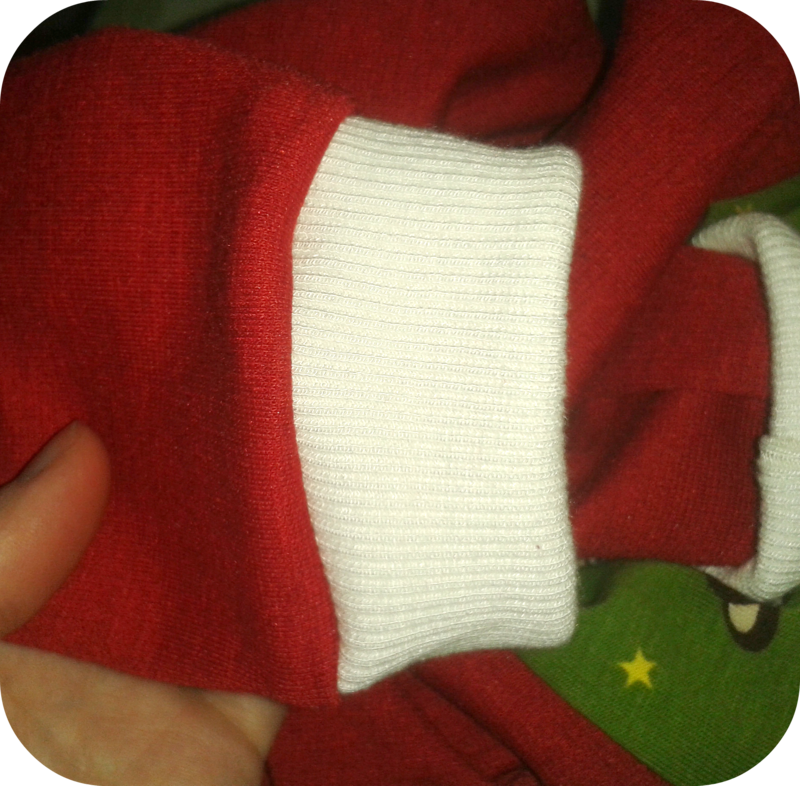 STEP 1: Lay your cuff fabric in front of you with the wrong side facing up (picture below, top). 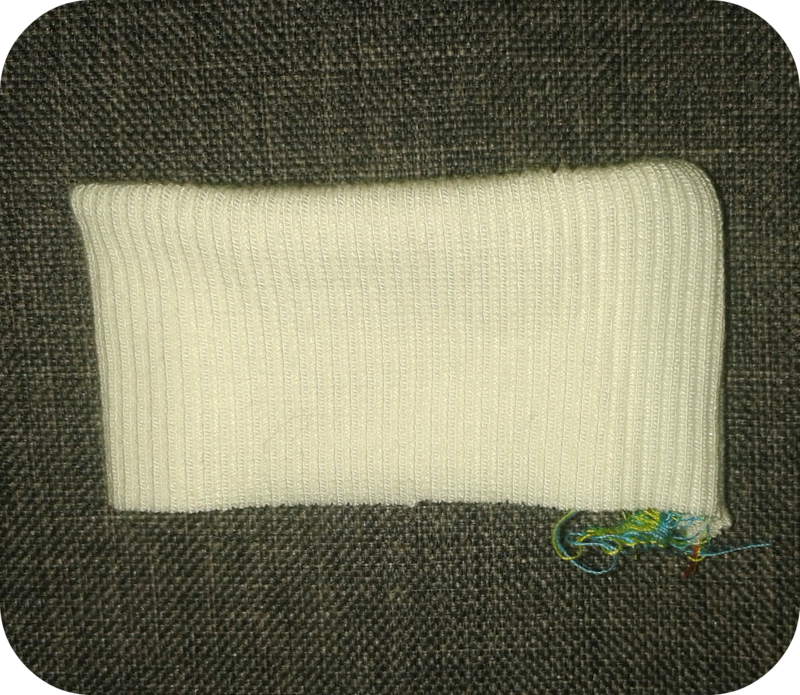 Then fold it horizontally to the right (picture below, bottom). STEP 2: Pin in place. If you feel comfortable enough to sew this without pinning, you can skip this step. 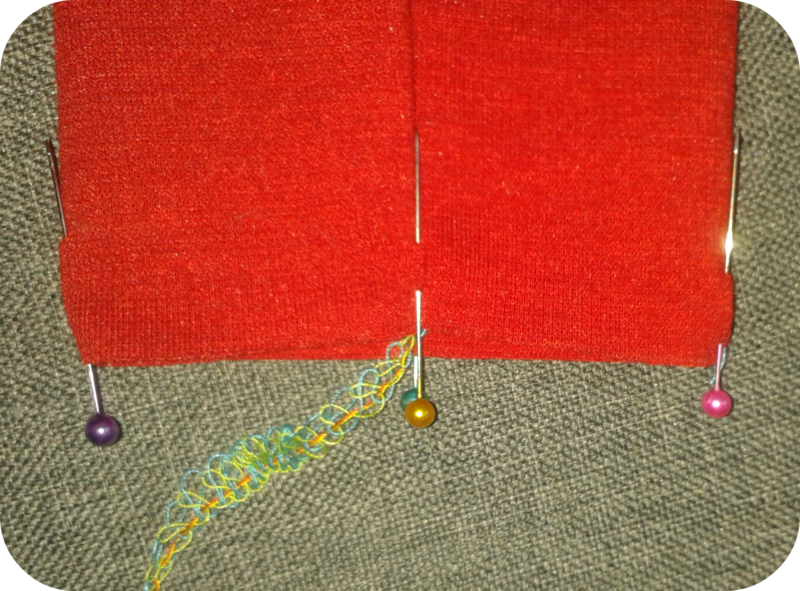 STEP 3: Start sewing along the short edge (the one you just pinned). It is advisable to remove pins while they approach the pressure foot. 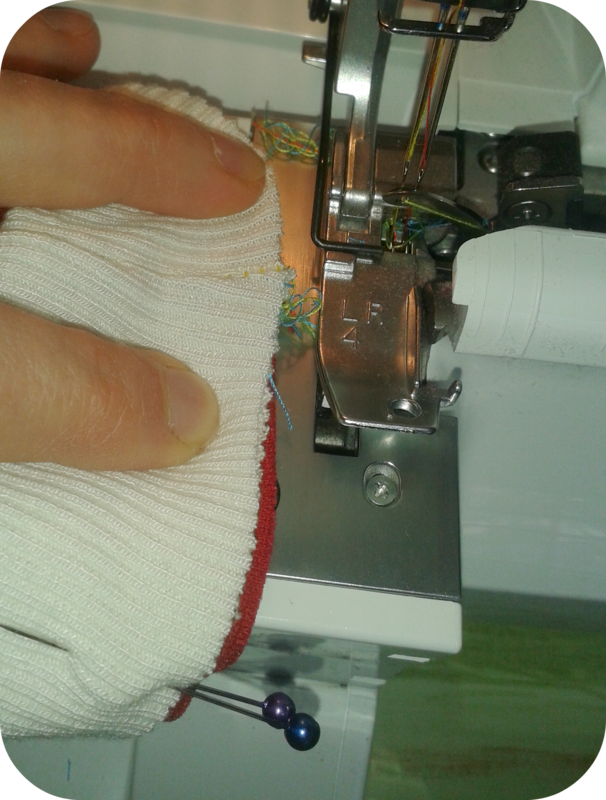 When done sewing the first cuff, guide the next cuff under the pressure foot and continue sewing. This is much faster than sewing each cuff individually. 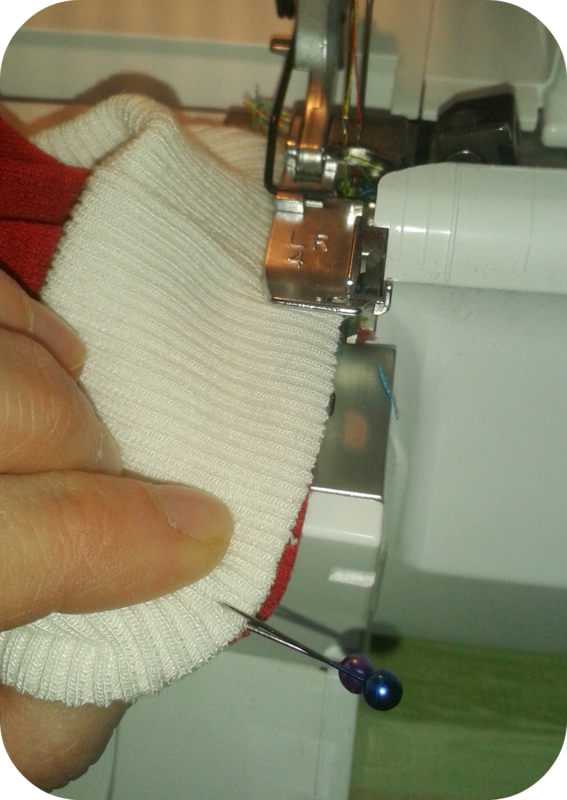 Again, you basically sew both cuffs in a row without cutting the thread. 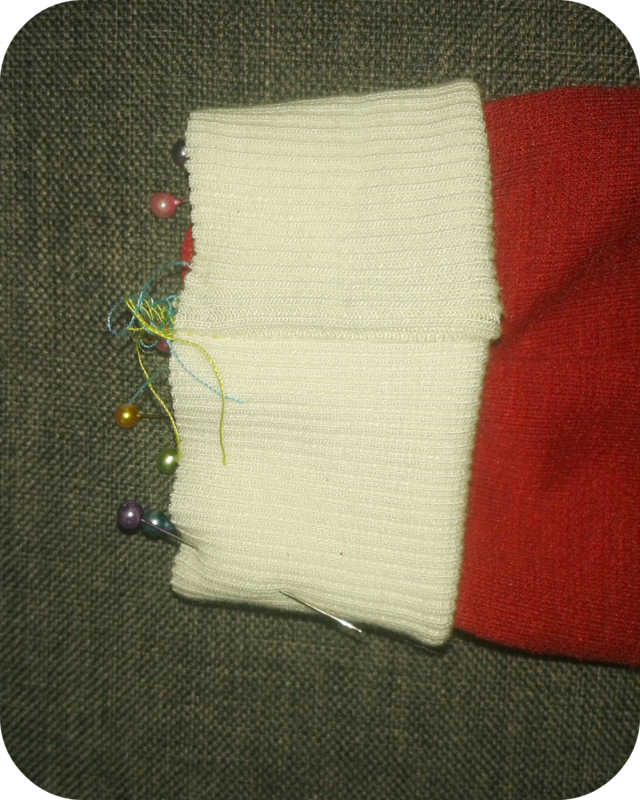 Then cut the thread in-between both cuffs. 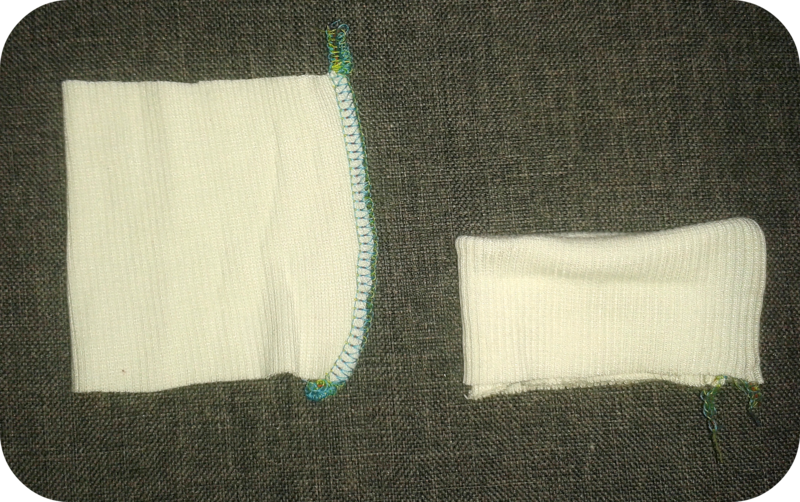 STEP 4: Take one cuff and fold it in half: wrong side to wrong side (as shown in the picture below, right). Thereby you are hiding the seam in the inside. Make sure that both seams are perfectly aligned on top of each other. …and mark the outer edges with two pins. 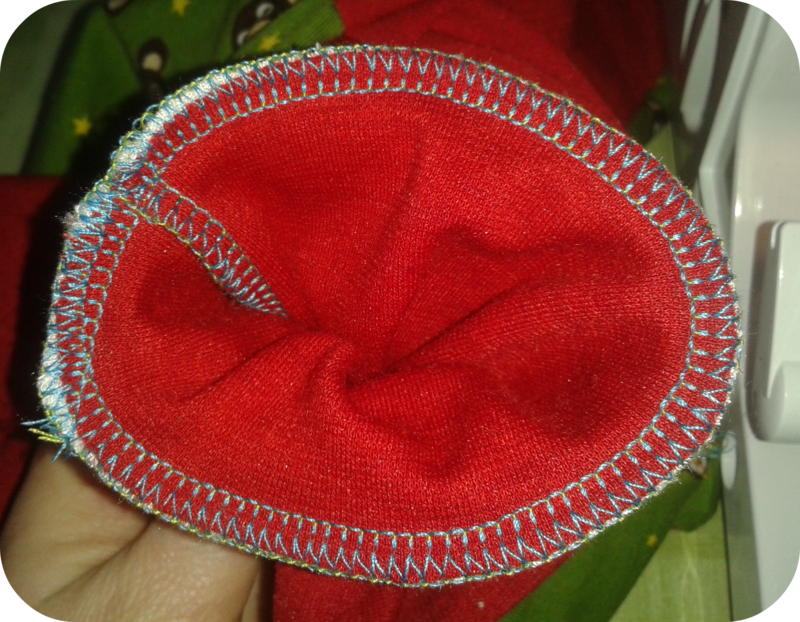 The heads of the pins face the raw edges of the fabric. …in order to mark the new outer edges with another two pins. 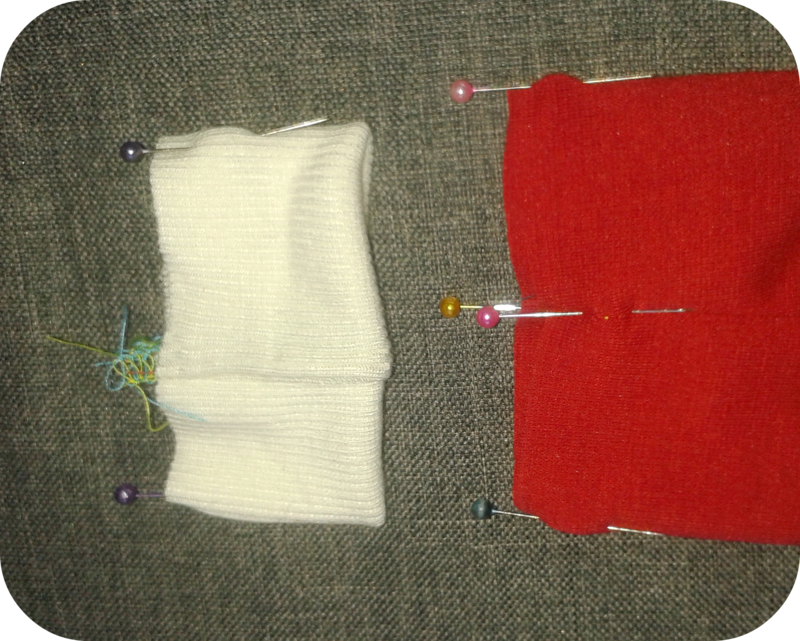 STEP 6: Proceed similarly with the sleeve as explained above for the cuff. First, lay it straight in front of you. Mark the outer edges with two pins. 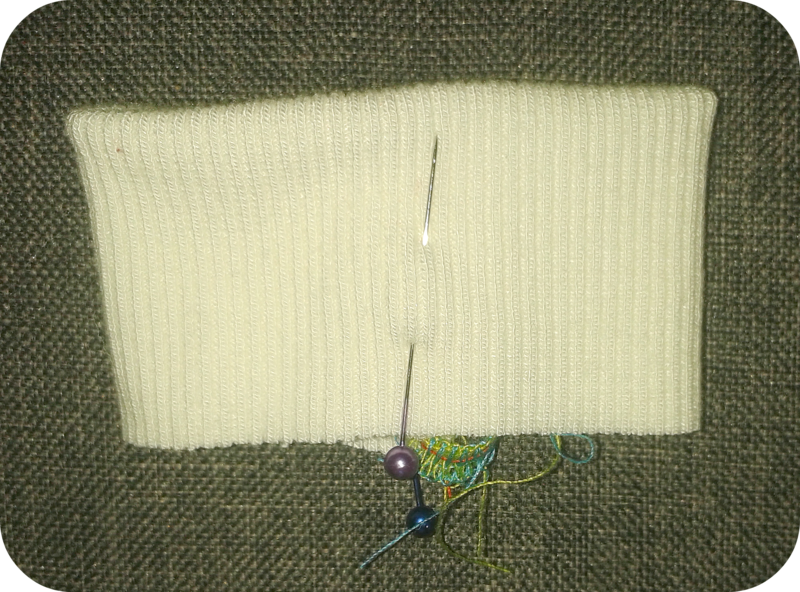 STEP 6: Take the cuff and turn it with its raw edges away from the sleeve. For both cuff and sleeve the right sides of the fabrics face outside. …and carefully guide it towards the end. Make sure to perfectly align the two cuff seams (in the inside of the cuff piece) with the sleeve seam (in the inside of the sleeve). This way you will later get only one but neat seam. 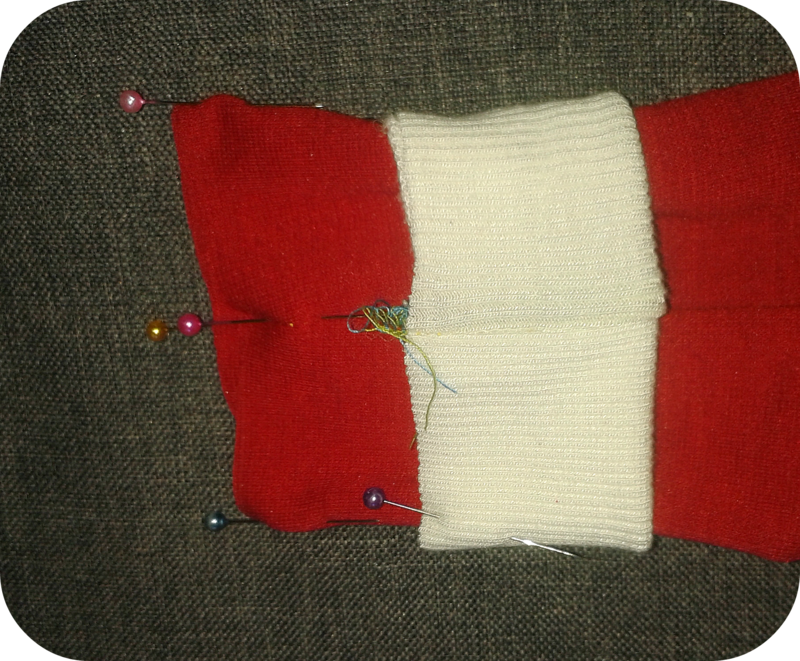 STEP 7: Remove the two pin needles that mark the seam region and carefully move everything (keep seams aligned!) 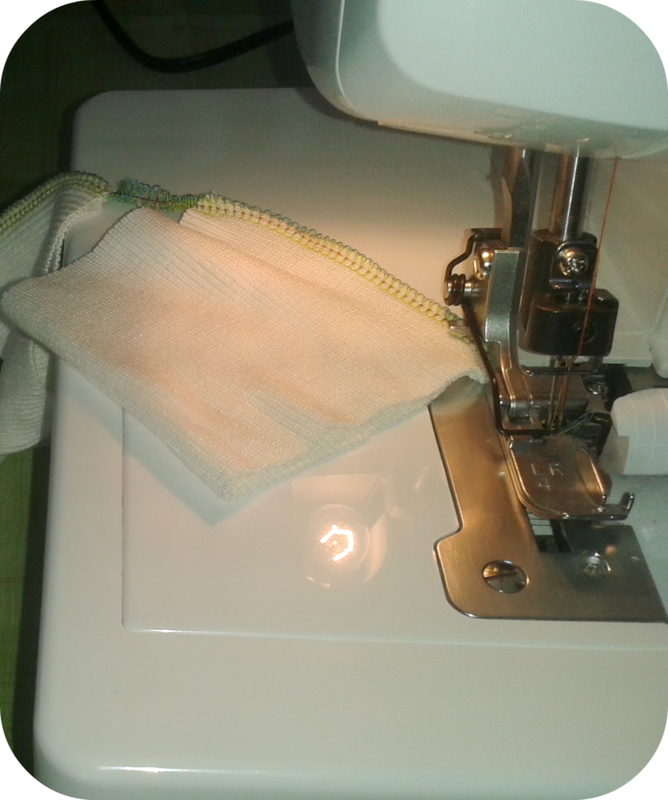 under the pressure foot and start sewing. 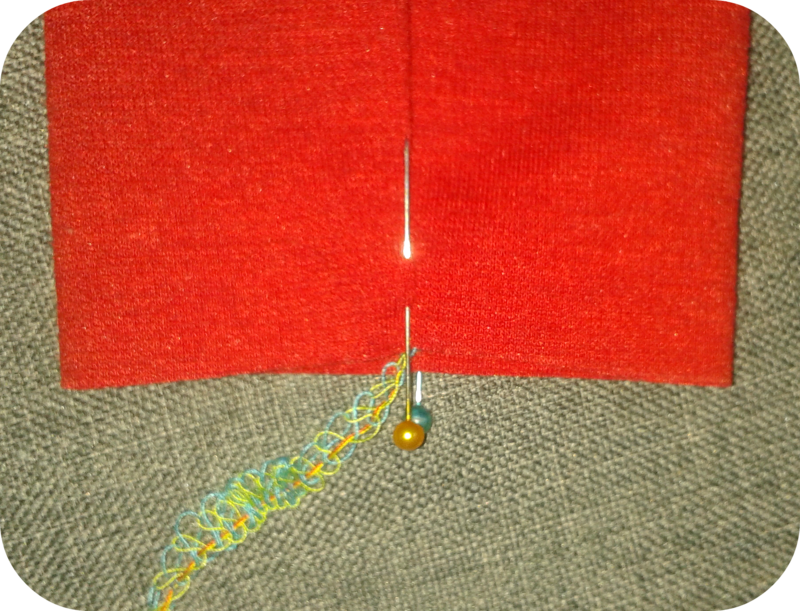 While sewing, pull the cuff fabric so that its next pin needle comes to lay on top of the next pin needle of the sleeve (see picture below for clarity). Do not stretch the sleeve fabric. Continue as described above for pin needles 3 and 4 and sew until you reach the starting point. 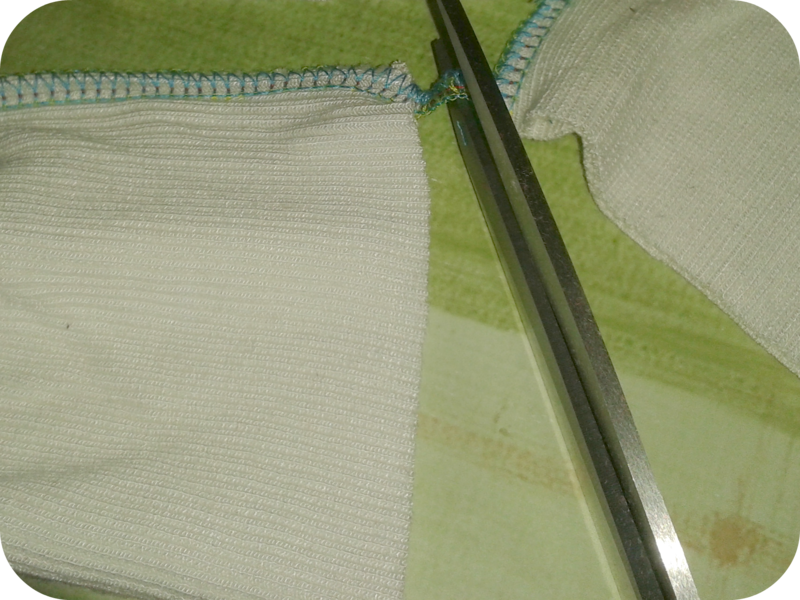 Sew a bit over it to secure the seam. STEP 8: Turn the cuff inside and admire your beautiful and perfect cuff. 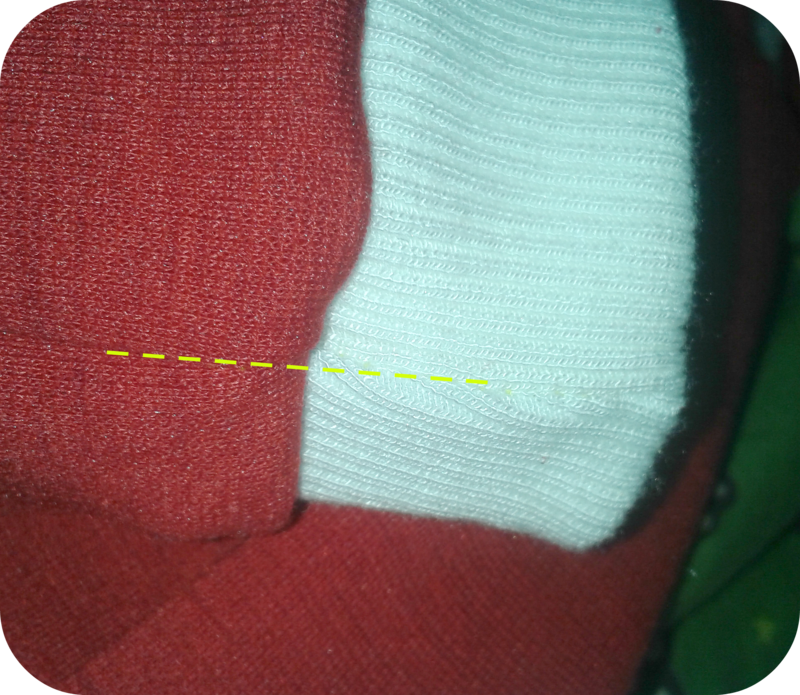 See how the seam of the sleeve and the seam of the cuff form a single line? That looks awesome. Hope you had fun and good luck with your perfect cuffs! Please stop by again soon. And if you have not followed this blog yet and liked Me & My Veritas on Facebook, please do it right away. 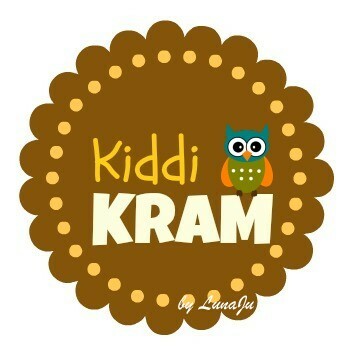 I am linking this to Kiddikram, Made4Boys, fuersoehneundkerle, Talented Tuesday, and Threading My Way. I love the multi-coloured overlocker thread not sure if you did this just for the tutorial but it looks great, I sometimes think the plain white/black/grey I tend to use makes it look homemade. Hooray! I love it, too! 🙂 You are so right. It served two purposes. First, to make it easier to follow the tutorial. Second and more importantly, in my opinion this multi-coloured look is just perfect for kids cloths. 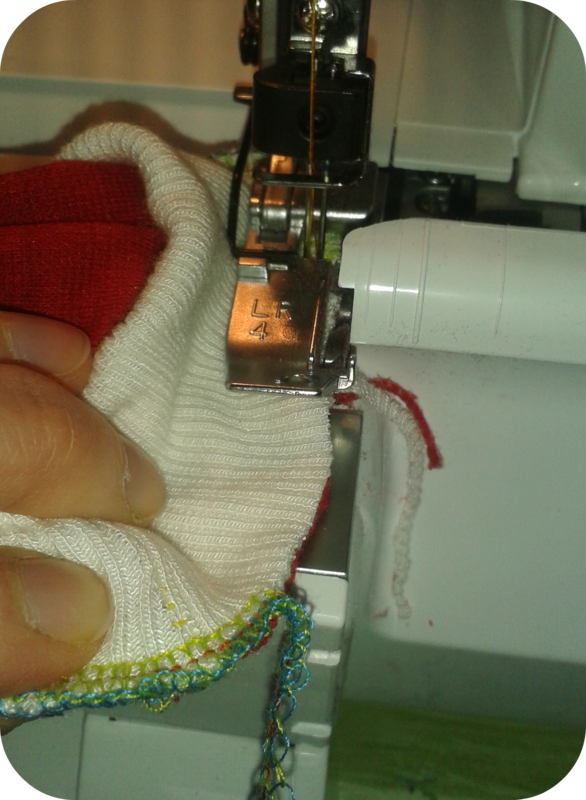 When the serger/overlock came with 4 differently coloured threads (to make it easier to learn how to thread upper/lower looper and both needles) I immediately fell in love with the multi-coloured seams. So for now I stick to them. 🙂 Have a lovely weekend and thanks again for stopping by. This is an excellent tutorial! I have never done this before but it makes total sense and I have a project coming up that is going to need this! Thanks!!! herzlichen Dank fürs Verlinken deiner Anleitung bei Made4BOYS! 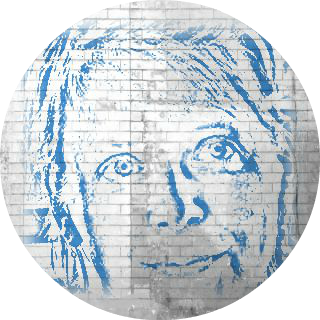 Ich bin sicher, sie wird so manches Mal für Bündchennähanfänger eine Hilfe sein!! Thank you so much! I really enjoy to come up with tutorials that show how easy things can be. 🙂 I am glad you like it! What a well written and detailed tutorial! Thank you for sharing at Talented Tuesday Link Party! Hope to see you again this week! Yay! 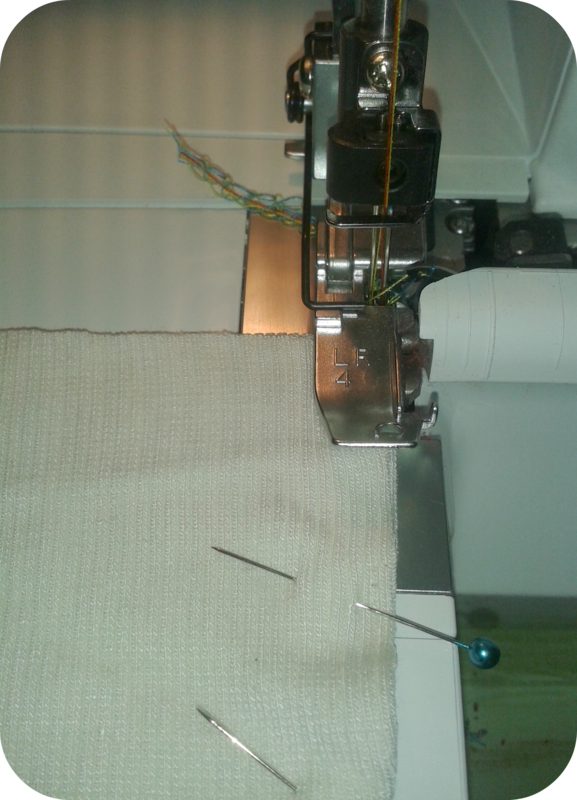 You’ve got the serger out! And clearly enjoying it! Thank you for this tutorial. Easy and looks great! This is a great tutorial, but this is applying ribbing to sleeves or legs. These are not “cuffs”.